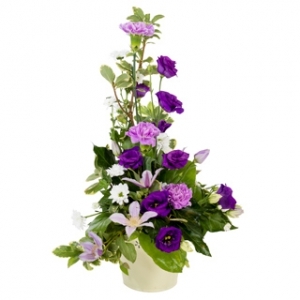 We are a local Manawatu Florist. 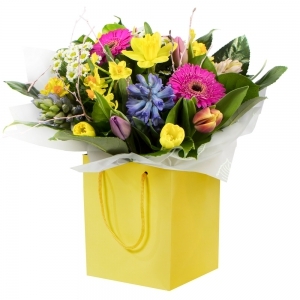 We pride ourselves in same day deliveries were possible to both local and surrounding areas. Creating beautiful blooms for all occasions, including weddings, Events, Corporate, funeral work and much more. Feel free to chat with us about your needs. Beautifully arranged and delivered on time. Good quality flowers used. 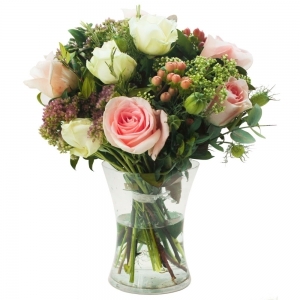 I ordered these from the UK for my mother and she said they were 'the most abundant and elegant flowers I've ever received!'. So thank you very much! 5 stars! Excellent service my mum just loved her flowers and chocolates and the special touch you gave them. Thank you! 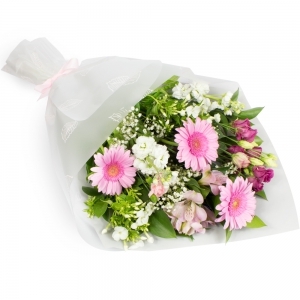 I've bought alot of flowers online and they can be really hit and miss. But these flowers that I ordered were amazing, my girlfriend was so happy with them, couldn't have asked for better! Although I have not seen the flowers, my friend said they were great. Very happy with the beautiful flowers and the efficient service. Absolutely brilliant service. Ordered 10pm UK time delivered within 6 hours to New Zealand. Thank you for helping me keep connected with my sister. She loved them. ???????? Beautiful selection of flowers and both of my friends thought what they received was gorgeous! 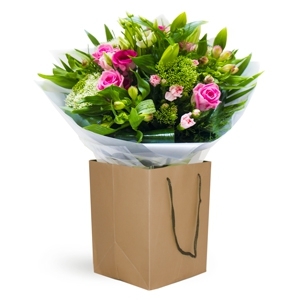 Flexible with orders, such as one of my orders was a bouquet of flowers in a vase whereas I requested hand wrapped, and Floral Collaborative were more than happy to adjust as needed. I would order from here again. 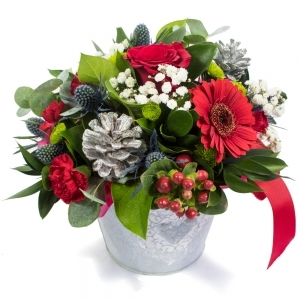 Delivered same day - beautiful arrangement- would recommend and use again. Thank you ! did not contact me to advise flowers had been delivered. flower arrangement sent not the same as one I ordered on website. people who flowers were sent to did not know the were from us as message I asked to be attached was not sent with flowers. My scores are on feedback from the person I sent them to so are an assumption on my expectations. It would great to know which actual florist was used, so that I could recommend them to locals who can go direct or walk in. 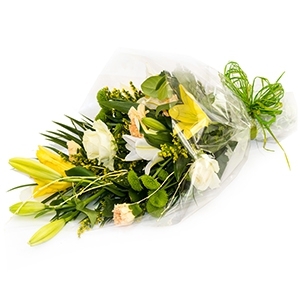 The receiver was most elated with the flowers received, thank you. 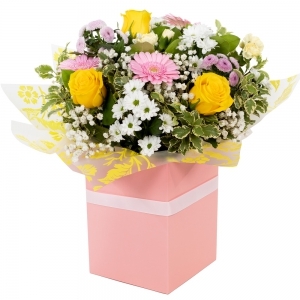 They rang to say that they couldn't deliver the flowers as no courier went to that part of New Zealand and wanted to work out the best way to get these flowers to our work colleague. 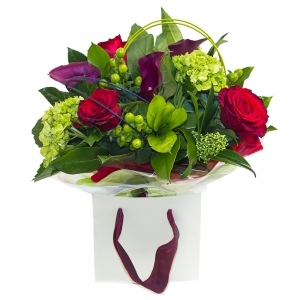 Have used Direct2florist before and they have never let us down. Awesome work team. Wonderful florist. Always quality and fantastic communication. Mum was thrilled with her flowers! 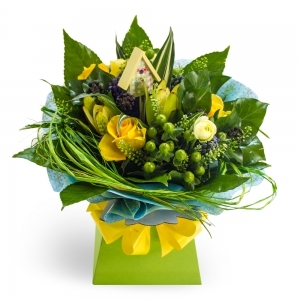 Speedy delivery, fantastic communication, amazing value and beautiful quality! 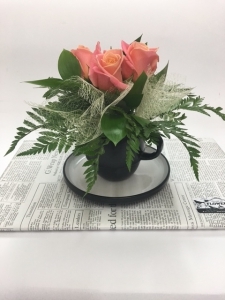 Beautiful flowers and cup/saucer container. Really appreciate the pic. Perfectly matched the one my friend sent me when she got them. Ended up ringing the store and was really happy with the service received. Recipient was really happy with their delivery. 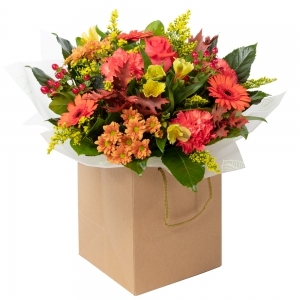 It was easy to order online from Australia, I was sending flowers to the hospital, but with an early discharge, I called to change the delivery address - such lovely easy service on the phone (Cherryl??). 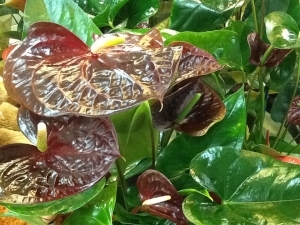 I ordered an anthurium plant, it was received in a lovely gift box and wrapping, and the plant sits in a lovely pot. It had beautiful pink flowers too. 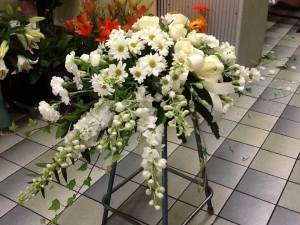 Thank you, I will definitely use this florist again, and would be happy to recommend to family and friends. Flowers were amazing. Thank you so much for making my Mum feel special on her Birthday. 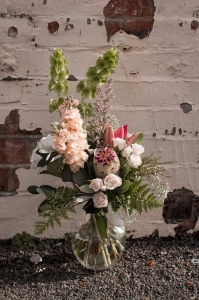 Love that they send a picture of the actual flower arrangement before delivery so you know exactly what you are sending. Thank you! Amazing Florist! Thank you very much for organising it Cheryl. 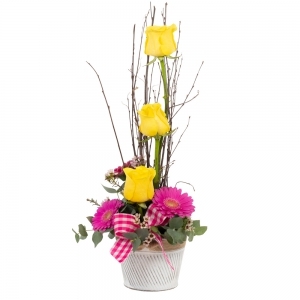 The recipient loved the flowers and we will definitely order from you again next time! Excellent. Need I say more! Delivered on time, we're exactly what I ordered. Was easy to order. 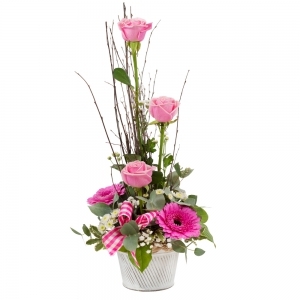 Beautiful arrangement, fresh and funky for a young lady. Lovely writing on the card too! Excellent service and outstanding presentation every time! <br/>Thank you! Thank you so much! The flowers were amazing and made my mum so happy. Absolutely perfect! great fast response to an online order. As above. 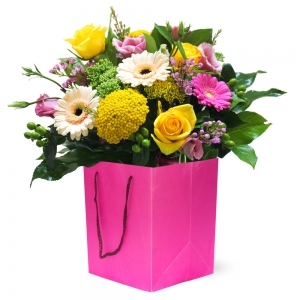 The service, the flowers and the delivery are excellent. I live in Scotland, so far from New Zealand, i was really thrilled with everything. 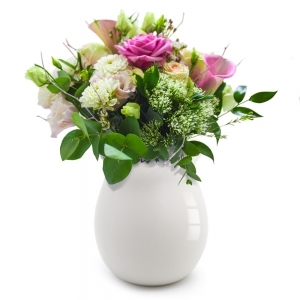 <br/>The flowers I chose from the web site were not the same as the ones delivered. The flowers delivered are much nicer in fact gorgeous. Thank you so so much. I felt that the flowers we not quite what I expected. The style / colours and packaging. I probably took the picture reference too literally, as they seemed incredibly different. That said, the delivery was prompt, I liked that the message was hand written and the ordering process was incredibly easy to complete. Beautiful flowers sent for my Mother in Laws birthday. Ordered before 2pm online and flowers delivered the same day. My daughter posted a photograph of the flowers on facebook. They were delightful and we were very pleased! Accent on Flowers has delivered flowers for me twice now and both times I've been impressed with the speed of their response to the online order. 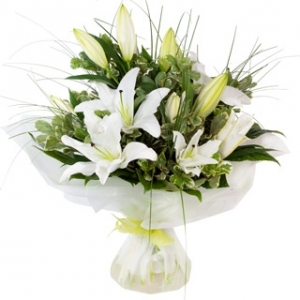 The recipient of the flowers has loved the arrangements they have received. Feed back on the balloon/teddy bear arrangement was that the balloons and the teddy bear were very nice, and were well received by my mother who is very ill at the moment in hospital, and wasn't allowed flowers or food. My mum was thrilled with teacup flower gift. Reliable service and received very good feedback from recipient. Recipient very impressed - Thank you! Wife was happy, so I'm happy! 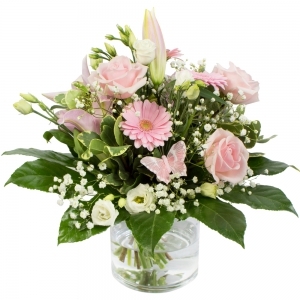 Beautiful flowers and very easy to purchase from afar. Mum was stoked. Thanks. Efficient service and beautiful flowers according to the recipients. The balloon and teddy bouquet was beautiful and made it promptly to its destination. Thank you! The customer service & communication was exceptional. 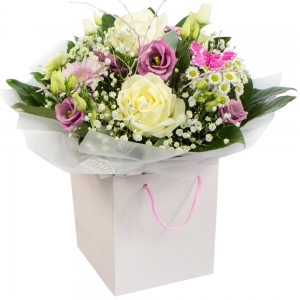 I was kept informed of delivery times and they made every effort to deliver the flowers easily & with care. I didn't see the flowers but was told that they were beautiful. 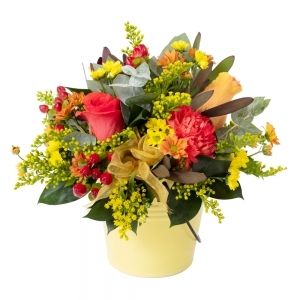 Thought it would be more difficult to order flower from Australia to NZ but it was simple! Thank you! My mother (recipient of the flowers) was absolutely overjoyed with the flowers and said they were beautiful. Thank you for helping to make her birthday special. Delivery as requested, no hassle. 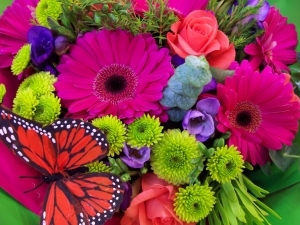 Gorgeous flowers, stunningly arranged, and presented. Brightened my Mum's day for sure! Flowers and teddy arrived looking exactly like the pictures. Arrived on time and recipient was really happy with them. Will definitely be using this florist again. Absolutely gorgeous flowers in a beautiful teacup! The recipient LOVED it. Very, very fast delivery. Will definitely use again. Thank you. Prompt delivery on time, with excellent delivery progress communication. 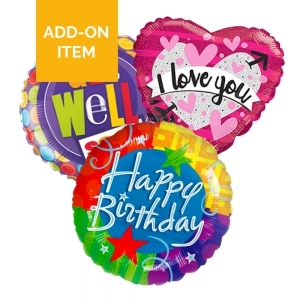 Ordered flowers, a helium balloon and chocolates for my Mother's birthday. 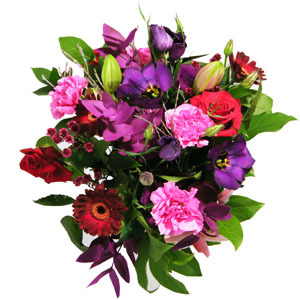 I'm based in London and she is in Wellington - had no issues at all with placing the order online, and they were delivered as requested. Great service, would definitely use again. again - fantastic service. Thank you! Flowers were delivered in the morning, and it was a beautiful bouquet. My wife did not spot where flowers were left by courier, I was away, so made phone calls. Fantastic service and result. They were great to deal with. Absolutely gorgeous bunch of flowers for my Mother who loved them so much she cried. Loved the little pack of tissues you send with your flowers that was a great touch. Thank You! Flowers were beautifully wrapped and looked great. Reciepient was very happy. Would use again. 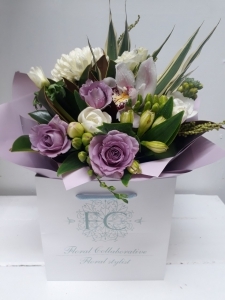 Just gorgeous flowers - really pleased on both occasions I have chosen this florist - would definitely recommend these guys - so helpful too if you have a query. Recipient was thrilled with the flowers she received. 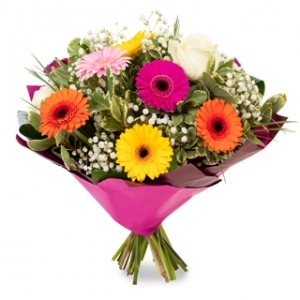 Flowers delivered within timeframe required and have heard they were really lovely. Awesome and so quick at delivery, especially when it was an overseas delivery done on a Saturday morning got delivered Saturday and they were stunning, I have already told friends to use you as I think you were amazing to get these flowers delivered on the same day considering it was to a different country. 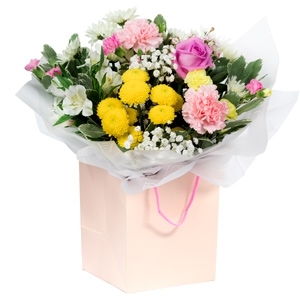 Great service, they were very helpful and made it easy for me when the ward I wanted the flowers delivered to, did not accept flowers. They gave me options and quick replies to all emails. I would use this shop again. 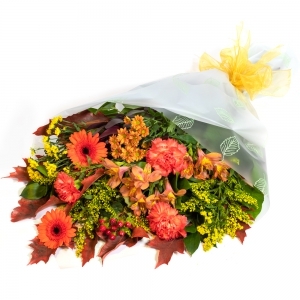 I ordered a bouquet from Accent on Flowers. It was BEAUTIFUL! I got excellent value for money and it was delivered quickly. I would definitely use them again and again!! Always good and well presented site. Delivery very prompt. Will use again. Beautiful flowers arrived to rural address 43 mins after order! Outstanding!!!! Our aunty and uncle who got the flowers delivered to their house loved the freshness of the flowers and presentation overall. Very efficient, no problems at all. I will continue to use Accent on Flowers. Flowers and balloon were beautiful, they communicated quickly direct to me that there would be a delay in the delivery requested time of AM. and when advised that the notification that the item had been delivered but it had not actually arrived they followed it up straight away. Beautiful bouquet as requested however not quite moneys worth. Extremely pleased with quality of bouquet. Flowers were very fresh - mostly in bud and lasted a long time. Will certainly use this florist again. Thank you for delivering early on the day promised. Appreciated as ordering from UK and my sister was delighted! I like a solution orientated approach at this organisation. Highly recommended! The recipient loved the flowers, the colours etc were beautiful. They were delivered promptly which was great. Thanks so much. I didn't see what the flowers looked like but delivery was very prompt. Bouquet was beautiful and it was delivered promptly! My mother loved her flowers thank-you. 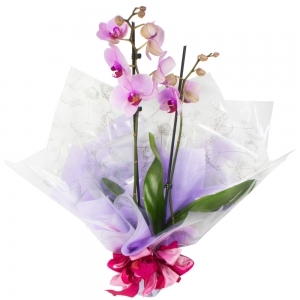 Great flowers, efficient delivery, no hassle. Would use again. 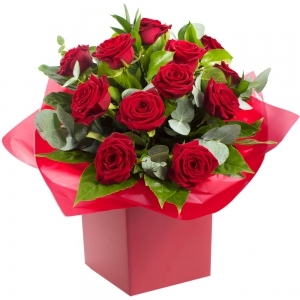 Please can you send a photo of the flowers before they leave for delivery? The recipient said they were lovely which is great, but it would have been good to see the actual item too. Thanks for making the gift of flowers so easy! 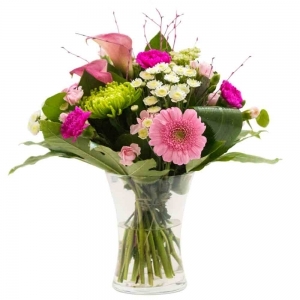 Thank you so much for an excellent service and information provided every step of the way, very important when you are ordering flowers from the other side of the world. Will definitely use your service again. I am assuming that these are the people who sent the flowers - again - gorgeous person who received them LOVED them!!! would have loved to have had a picture of the bouquet. 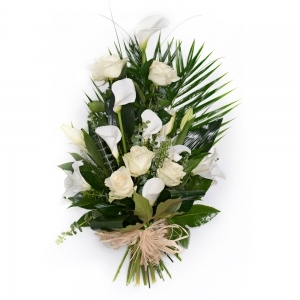 Beautiful boquet, tasteful and to instructions. very plaesed. Flowers delivered within a couple of hours of purchase. Good selection. Would use again. 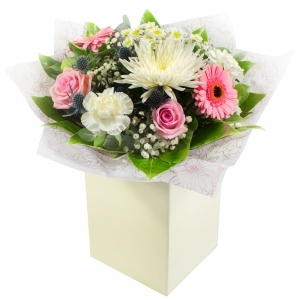 Very easy to order online arrangement, flowers arrived in the specified timeframe we requested and they were very well presented. I sent these flowers to my aunt for Christmas. She is in a rest home and was thrilled to bits with them. Many thanks. The flowers were gorgeous - the recipient blown away! Beautiful flowers and super speedy delivery. 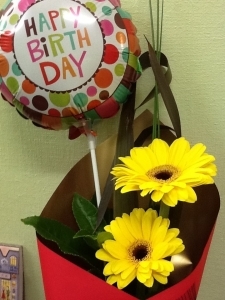 My mother was very happy on her birthday to receive such lovely flowers. Thank you very much. Excellent value for money and great display. And at one day's notice! Excellent service - ordered from AUS to NZ delivery & I forgot to add detail about delivery ward (for hospital) ' by the time I had emailed to let them know , they had already rung the hospital @ sorted it out themselves! Great service - thank you! Quick and easy to order. Thanks! 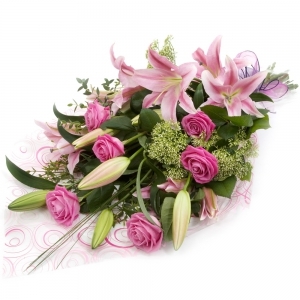 Very quick and according to all reports, the bouquet was lovely. Another friend thrilled with your flowers. She described every flower in detail! Thanks so much for the extra care and prompt delivery today. Wow. 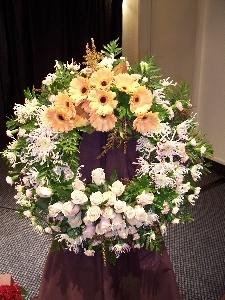 The flowers were delivered to Wellington on the same day. 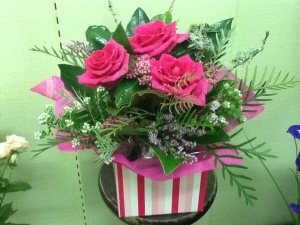 My friend was really thrilled " Thank you for the beautiful flowers which have just arrived. I have them in my bedroom where I can see them they are really colorful red and yellow." Thanks. Super fast delivery. Flowers were gorgeous. First class. Thank you. Exactly as ordered. Very happy with service!! Highly recommend!!!!!! 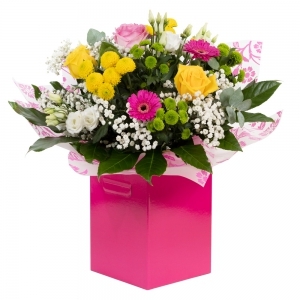 fast delivery and they said the flowers were amazing thanks .. Delivered within 3 hours of ordering! Fabulous thank you so much!! Very attentive and fast service. Very happy. Another delivery done in a perfect manner, excellent service thanks. Super easy and efficient service. Awesome Stuff! 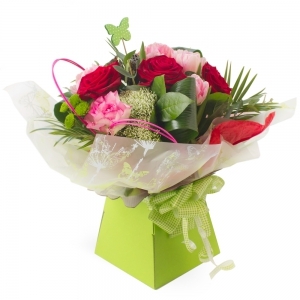 Beautiful flowers and delivered exactly the time requested, have placed an other order for Mothers day for Friday. very satisfied. additional comment: would appreciate a photo of the order as we won't see it ourselves because we live overseas. I ordered from the Uk for same delivery - I was thrilled when my daughter said her gift had been delivered on her birthday - excellent! Haven't seen the flowers but heard they were beautiful - the recipient was thrilled. 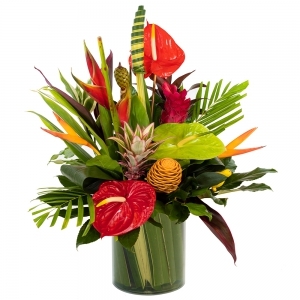 Accent on Flowers provided an amazing service, particularly by following up on details when I had provided incorrect information. Wonderful service, thanks so much. 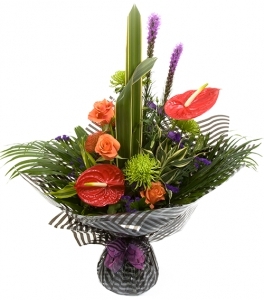 Recipient received a beautiful arrangement and was extremely happy. Thank you very much. I live in Australia and made an online order for delivery to the hospital. Within approx 20 minutes, not only had I received confirmation that the order was ready for delivery, Accent also emailed me with a photo of exactly what they were sending. Very impressed with the quality of flowers, service and efficiency. Flowers were great. My mother loved them. Fast efficient delivery. Would definitely use this service again. Thanks! Flowers looked amazing. Really easy as i am in Australia and my mother was in New Zealand. Would definately use again. 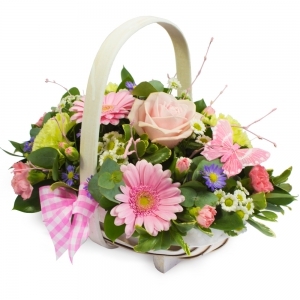 Thank you very much, my 93 year old mother in law was thrilled and excited with her basket of flowers.That makes me very happy to shop at online Direct2florist / Accent on Flowers. She even has a plan for future use of the basket .Ahh a lovely moment. 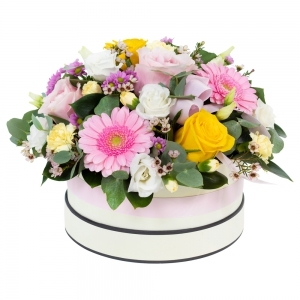 Delivered on time, to order, as instructed - and beautifully presented! The perfect service. 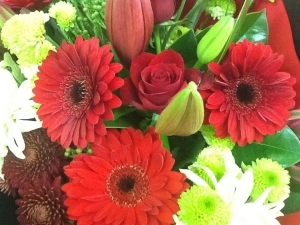 Wonderful flowers and delivered ontime! Excellent service! Would definitely recommend Accent on Flowers :) Thank you! Did a great job with the flowers and delivering! Thanks for all the help. Yeah good work. Girlfriend thoroughly enjoyed them. Top notch florist! 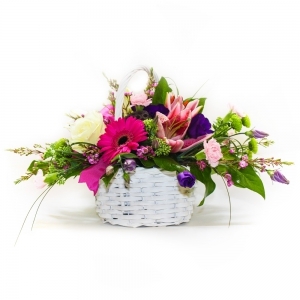 Our flower basket was delivered within about a hour upon ordering (at 3pm!). I would definitely recommend this florist, the service is superb. Thank you, from my mothers perspective the flowers were beautiful!! Will definately order from you again. excellent service, wonderful comments from my mum and sister about the flowers, very happy with punctuality of delivery and quality of bouquets. excellent prompt service , thoroughly recommend. Excellent service - niece loved the flowers. My sister said the flowers were really lovely. Delivered as requested. Very happy with the service. Very good service. 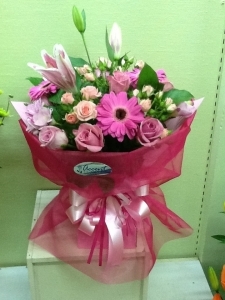 Lovely flowers, I was very pleased. Thank you. Excellent service. Thank you for delivering on Sunday! Exellent service and very helpful will thank them in person on my next visit to New Zealand. 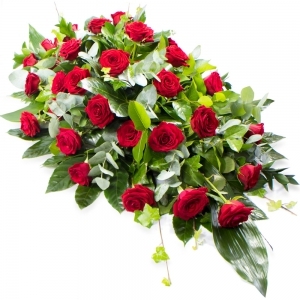 I was absolutely wrapped with our selection of the florist's choice. The arrangement was gorgeous and completely exceeded my expectations. Thank you and I will definitely be using your services again. 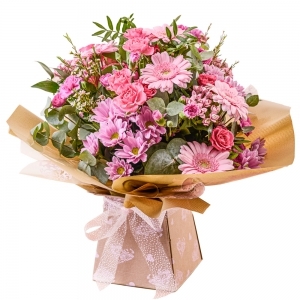 Sent a basket of flowers to mum in NZ for Mother's Day, delivered on time and mum described them as the "most gorgeous" bunch of flowers, smells great too. 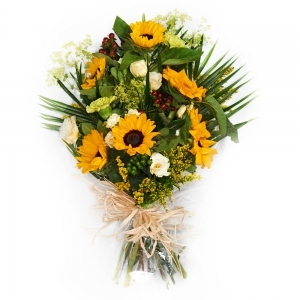 Very easy to use website too and i lnew the flowers were coming from a great local florist in my hometown. 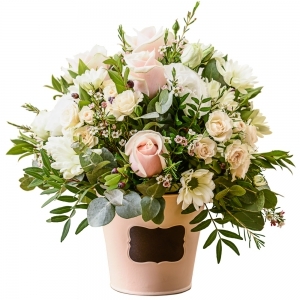 Only suggestion I can make to improve the service would be a direct order confirmation from the local Florist BEFORE the delivery - emails went from "your order is being processed" to "delivery confirmation" with several days gap where I was just hoping that the order could be successfully processed and delivered on Mother's Day. Great service thanks! 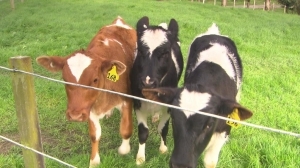 I would have liked to have seen which local florist in Dannevirke got used for this delivery? I missed that somewhere on the emails which you sent. I was thinking also, that it could be a nice touch to give the person receiving the flowers the option of sending a message back. 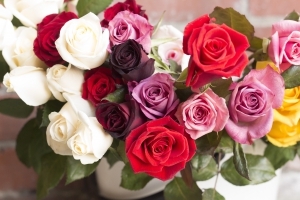 I imagine many will decline and state that they'll do it themselves, but in some instances (like when the person does not have access to the internet, or if the person who sent the flowers is overseas and hard to reach by ph), then it might be a nice touch for flowers direct to offer to send a response on their behalf? Thanks again. I was told by the recipient that the flowers were one of the nicest ones ever received, so thank you so much for that. Will definitely use your services again. Received a text immediately, from my beloved which said - "The Roses are so beautiful, thank you so much". And, thank you Accent on Flowers, your service and flowers are excellent. I have no hesitation in using you again. 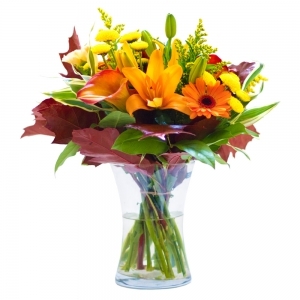 Bruce H.
Ordering was easy, service was excellent and my friend was delighted with the flowers. What could be better. Thank you. 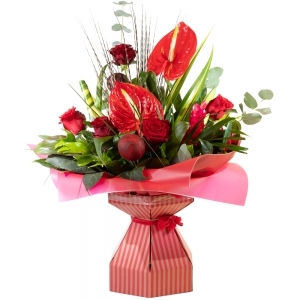 Recipient said fowers were absolutely beautiful - thankyou! Thank you, the flowers were lovely and the recipient was really pleased. Great service, and really happy that some of the details I entered needed to be clarified and got in touch with me straight away to find out. Really good. Had great feedback very promptly for this order. Thanks a lot. Flowers delivered on time. 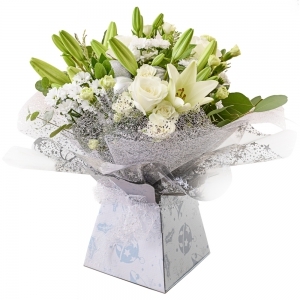 Recipient was so happy with the choice and quality of the flowers delivered. 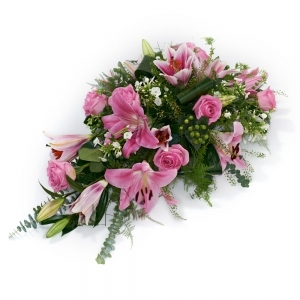 Wonderful service, no problems, beautiful bouquet! Once again very fast delivery. Delivered ontime with no hassle. Flowers were delivered same day as ordered and recipient loved them. I am so happy with the excellent service I received. I tried using another provider to get a cheerful boxed helium balloon sent to my mum and was told it wasn't possible: I knew it was and within five seconds of a quick google I found you. 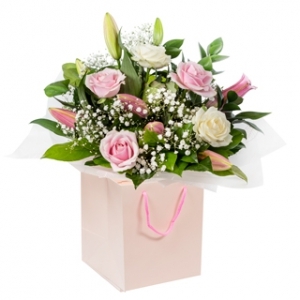 It was incredibly simple to arrange, delivery was super speedy and the balloon beautifully boxed with a lovely accompanying card that totally brightened up my mum's day. Thank you so much for your wonderful, easy service - I will definitely be using you again and recommending you to my friends! Thank you so much for your superb service. The flowers were delivered not long after my order and I've been told that they were very elegant. It was certainly reassuring that I was able to do something special for my New Zealand friends whilst being stuck in Sydney! Many thanks. Saw the flowers on SKYPE.. it is beautiful. Thank you. 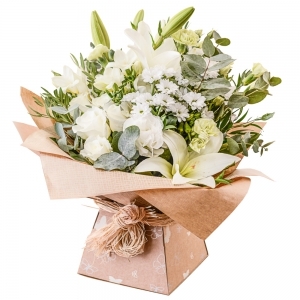 I like the idea of sending the buyer (me) an email photo of the actual presentation... an Auckland florist I use for deliveries there does that and it is really a good way of me being sure it is just right. the fastest delivery ever! Amazing. The flowers were delivered in another city so I haven't seen them but my daughter said they were beautiful. Also they were dleivered on time and your communication is very good. The flowers were beautiful and the service was exellent my Daughter loved them A BIG THANK YOU well done a very good service. Flowers were beautiful and delivered when requested on a Sunday (Mothers Day). Highly recommend dealing with Accent on Flowers. 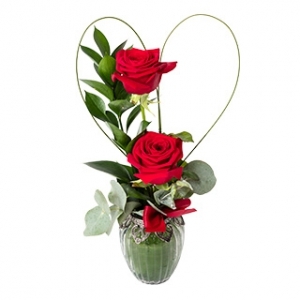 We purchased flowers from this site for mothers day and got great feedback. 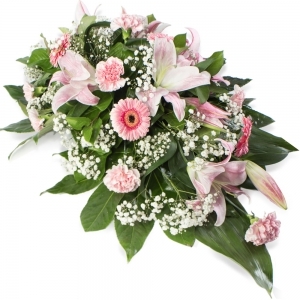 The flowers were in perfect condition and she was very happy with presentation and arrangement. 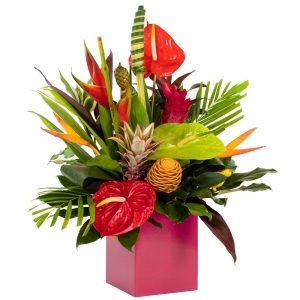 We live in QLD so was so happy she like what was picked we would deffiently use this florist again. 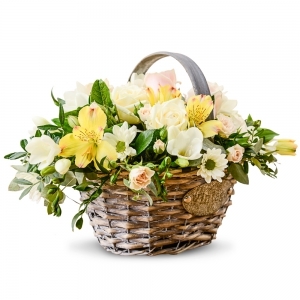 Mother was thrilled with floral basket and chocolates received. 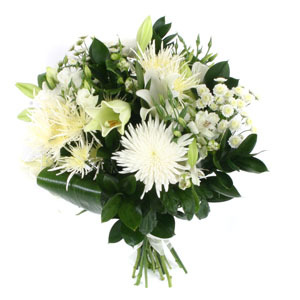 This is second time have ordered online with Accent on Flowers and again extremely pleased. No hassles. Delivered out to Cambridge! Thank you so much, the flowers were beautiful and my sister loved them. Very good arrangement supplied at very short notice. Jennifer is my florist and i think she's is just great. she put some heart-shaped chocolates in my mum in law's flowers without charging more and she is very prompt to answer emails. i sure will be coming back to Accent flowers and to you guys and Direct2florist. You are all doing a great job supporting each other! 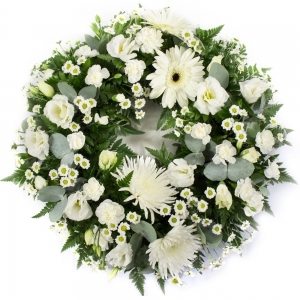 !..thank you so much for the wonderful service..
Great Service - My mum just loved the flowers, they were stunning! Beautiful flowers delivered promptly, many thanks! I placed the order from overseas and recieved really prompt service - no issues at all filling the request. The recipient loved the flowers. 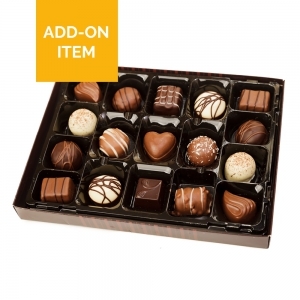 An excellent service which kept me informed of the delivery process. Excellent service. Would definitely order again. My friend was thrilled with the flowers noting that the florist I use "always goes that little bit further"; I had asked her to match the flowers to the ballet dancer's costume. 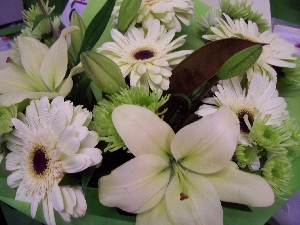 Great service and the flowers arrived in impeccable condition despite coming from Palmerston to Wellington. Have seen the pictures of my sisters flowers and they look beautiful. Thanks Alison Waumsley From a very snow bound East Yorkshire in the UK! 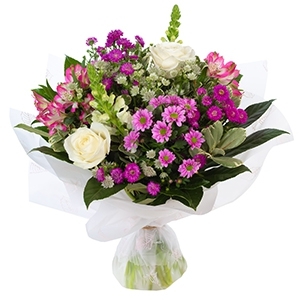 I live in Australia and used this service to send my sister flowers for her birthday. They were amazing and so beautiful!! Made my sisters day which made me very happy!! Will defintley use this service again!!! Thank you!! Excellent service! Would definately use again. Excellent service, especially given the delivery problems. Florist was very helpful. Would have been nice to see a photo of the bouquet but, more importantly, our grandmother was delighted with it. Absolutely wonderful and reliable Florist-gorgeous flowers, thank you. Awesome service. I sent the flowers for my dad's 74th birthday which were to be placed on my dad's grave site. My mum said the arrangement was beautiful and perfect. Thank so much. Flowers were beautiful and delivered on time, as usual. I've used this florist 3 times and will continue to do so. Thanks for the great service! Very easy process to order. Clear instructions. 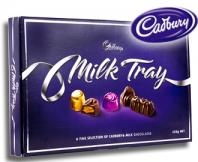 Recipient was delighted with flowers and chocolates. Delivered on time. Thanks. Excellent service! 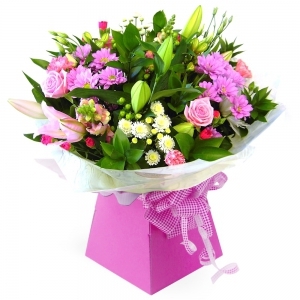 On time delivery and flower is fresh enough making my mum very happy! Many thanks indeed ! Just my message was not attached but this is no big deal afterall. Delivered within an hour and a half of placing the order - and they looked amazing. Will definitely be using them again in the future! 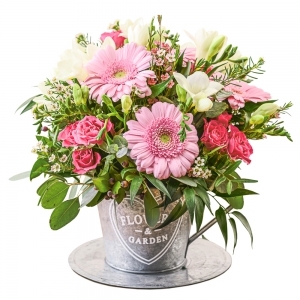 Your never sure when ordering from oversea's as to how fresh your flowers are going to be, but when I heard that they were still beautiful after a week I would certainly have no problems using or recommending your service again. Thank you very much. Flowers were gorgeous. They let me know they couldn't deliver on the day requested as it was a Waitangi day and left a note saying so with the flowers. Great service and will use again. Very prompt service, thank you so much! The flowers were a huge success. 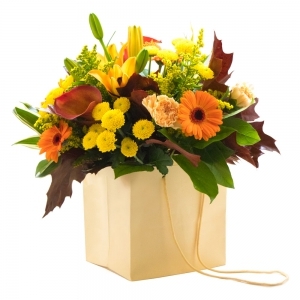 I will continue to order from "Accent on Flowers", they always deliver beautiful bouquets! Beautiful flowers and wonderful arrangement. I highly recommend this florist. 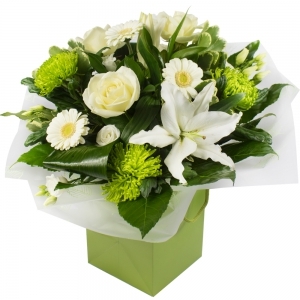 Delivered when requested, flowers were lovely, will use this service again. Thank you. Super quick service and flower arrangement was apparently wonderful...would use them again. Very prompt quick service. Thankyou. Wonderful, gorgeous, just lovely thank you. Excellent service and the flowers were beautiful according to the recipient. 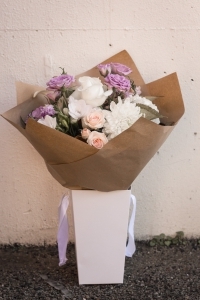 I'm not sure if the flowers have been received, as I have not heard from the recipient, however the response time from the florist was very good. The flowers were delivered on time and were the colors I had asked for and were fresh and beautiful. This is a great florist and I will use your service again. Thanks! 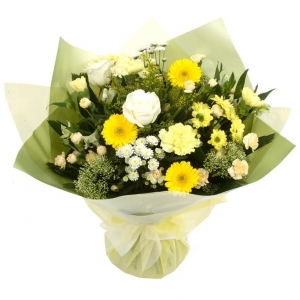 Superb flowers and extremely efficient, even at very short notice. Thank you. The orchid arrived on time, ordered from the USA. My sister-in-law was delighted - the orchid and pot matched her color scheme! Thank you for the prompt and efficient service. The flowers were lovely. Excellent! 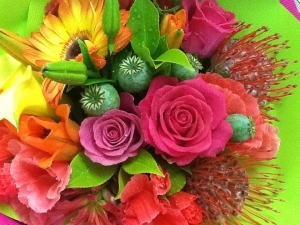 Thank you so much for finding such suitable flowers as per my request! Much appreciated! 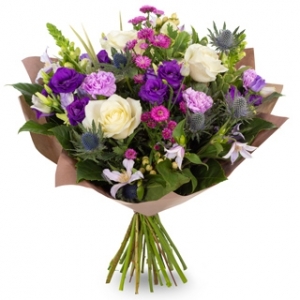 When ordering from the uk, the service and the quality of the flowers delivered are fabulous and the end result to my other half is nothing but joy. Sent flowers from literally the other side of the world from Scotland and delivery was fantastic. Thanks! 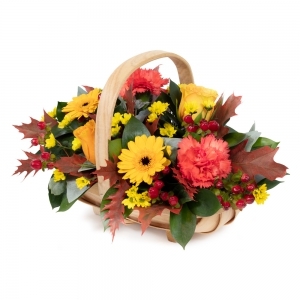 A fresh arrangement custom made with beautiful seasonal blooms. 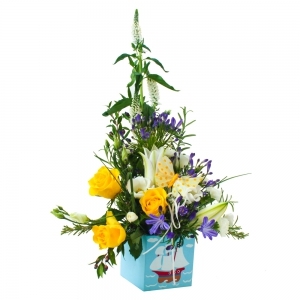 A delightful arrangement presented in a box. 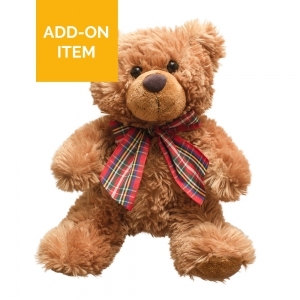 Ideal for a small gift. 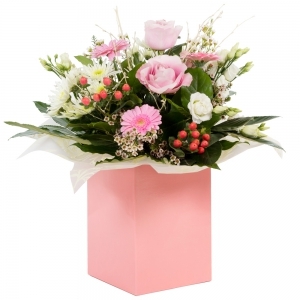 Flowers in a Vox (water filled box) and wrapped in chiffon. 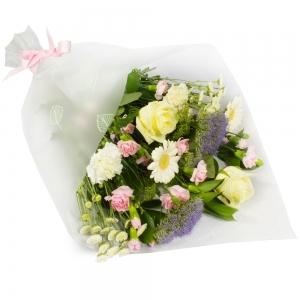 A pastel, tasteful bouquet of seasonal blooms to convey a message of sympathy.